Avant de me faire taper sur les doigts pour cette interview entièrement en anglais, je tiens à préciser qu'elle a été réalisée ainsi MAIS qu'une traduction est disponible juste ici. Interview à laquelle a gentiment répondu Smooth McGroove, un homme que vous devez probablement connaître si vous aimez les musiques de jeux vidéos et que vous traînez sur Youtube. Car oui, cet homme remixe diverses musiques avec sa bouche comme seul outil, et il faut avouer qu'il "envoie sévère", pour parler comme les jeunes d'aujourd'hui. Allô, tu connais pas Smooth McGroove ? Alors tu lis l'interview quoi ! 1 - First of all, introduce yourself. Who are you, what's your name or nickname and where did you get that awesome beard ? Hello! My name's Max Gleason and traded my razor for this beard two years ago. 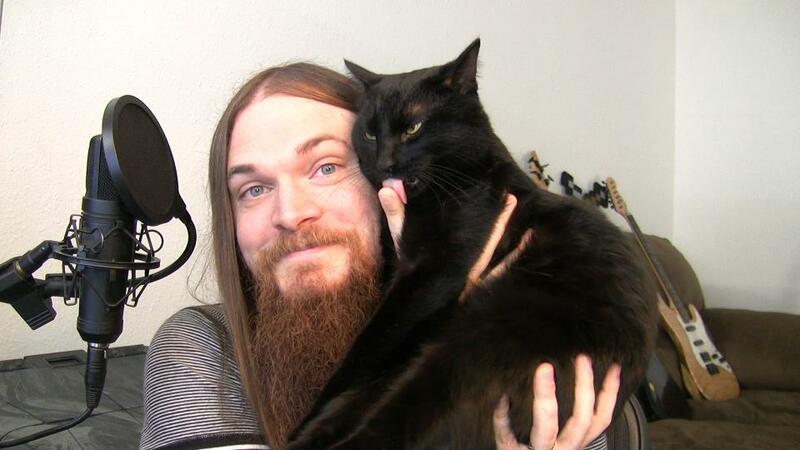 2 - You are known as Smooth McGroove on Youtube for making music videos. Why did you chose Youtube instead of other platforms like Soundcloud ? I chose Youtube because I love watching people make music as well as hearing it. 3 - On you Youtube channel, we can see that you remixed many videogames musics. Why did you chose to remix these musics instead of movie soundtracks for example ? I like video games much more than I like movies, overall. 4 - To do such a good work, you may have a musical background. Are you a musician ? My parents both play and teach music, and so I grew up listening to music all the time. I took a few years of piano lessons when I was very young, but I studied drums for many years after that. I never really took singing seriously until recently. 5 - You have an amazing voice too. You can do really acute sounds, that's quite impressive ! Is it hard to make all these various sounds (even beatboxing) with your voice ? It takes a lot of time to perfect the high notes and the drum sounds. My throat hurts sometimes trying to hit the really high notes! 6 - What's with that cat on all your videos ? Is he Smooth McGrove Jr ? 7 - How do you chose the songs you are gonna remix ? 8 - And last one, are you a gamer ? What are your favourite games ? I have played games since before I can remember, and I still play them today. I wish I had more time to play all the new ones that come out, but I've been recording so much music lately that I don't have time! My favorite games of all time? I'd have to pick the early Zelda, Metroid, Mario, Sonic, and Mega Man games. And Final Fantasy. There are too many! Chouette. J'ai découvert ce type il y a deux semaines ses vidéos sont kewl.